Most know of some of Yvon’s amazing successes, but few know the full story. The next few minutes will surely change that! Yvon had an early interest in bicycles and at the age of 13 established a small bicycle shop. In so doing, he acquired a Whizzer motorbike, a bicycle with 2 hp motor attachment, and rode it all around Montreal. 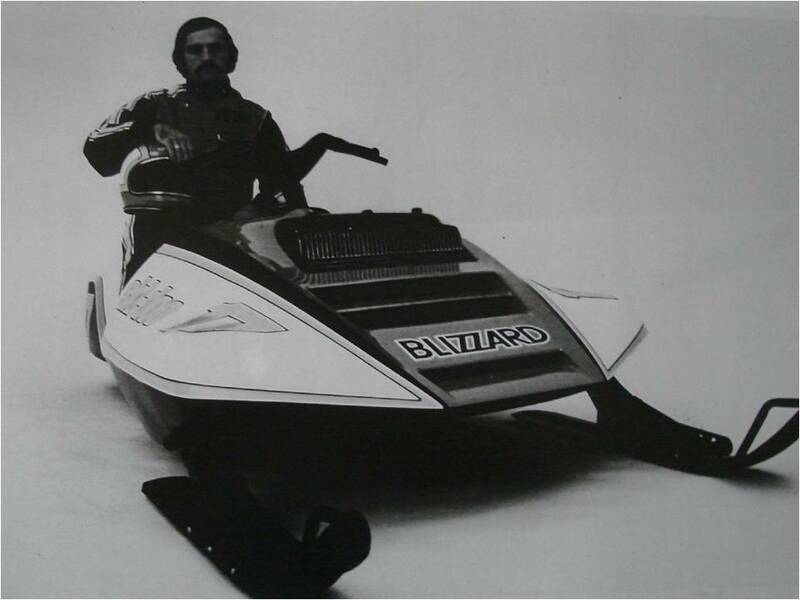 Imagine Yvon Duhamel on a Whizzer! A couple of years later, a friend let him ride his 500 Triumph. 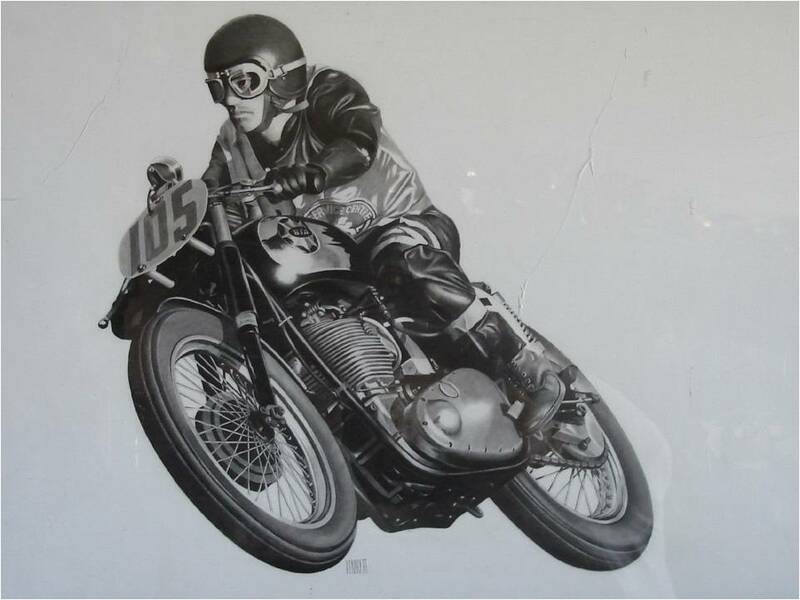 The acceleration of the Triumph impressed Yvon so much that the next week he bought his own first motorcycle, a 500 cc Triumph T100. From that point on, things began to move very quickly. 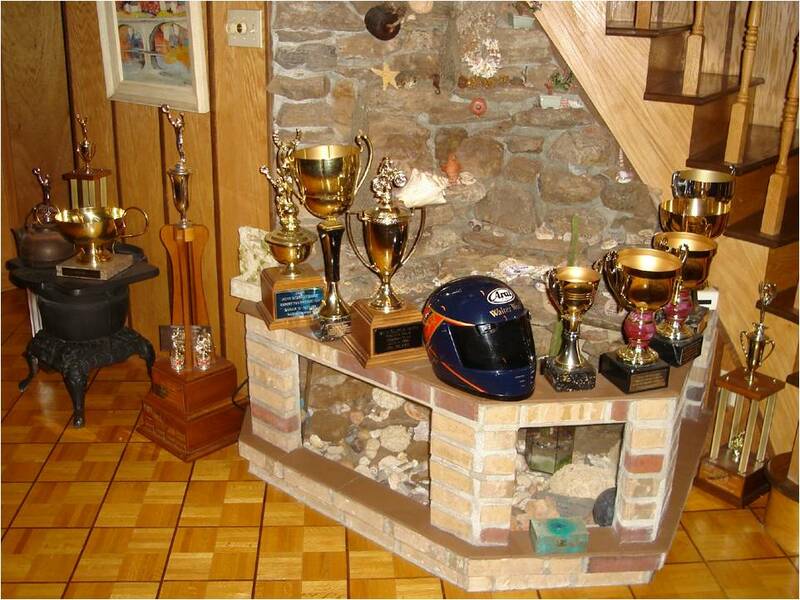 At 17, he began ice racing, and the next year, dirt track. 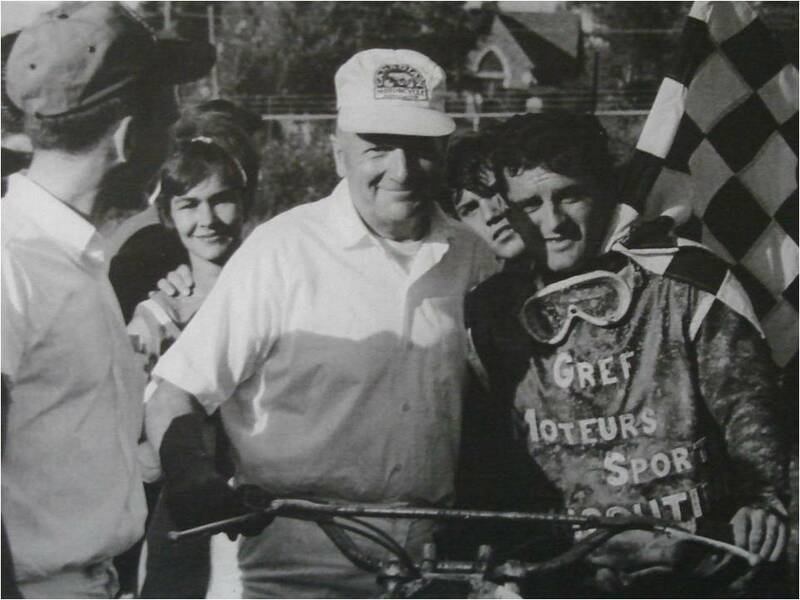 Using a borrowed Triumph, helmet and riding gear, he finished second in his first dirt track race in Quebec. His obvious talent caught the eye of George Davis, a key figure himself in Canadian motorcycling history, who soon took Yvon under his sponsorship wing. 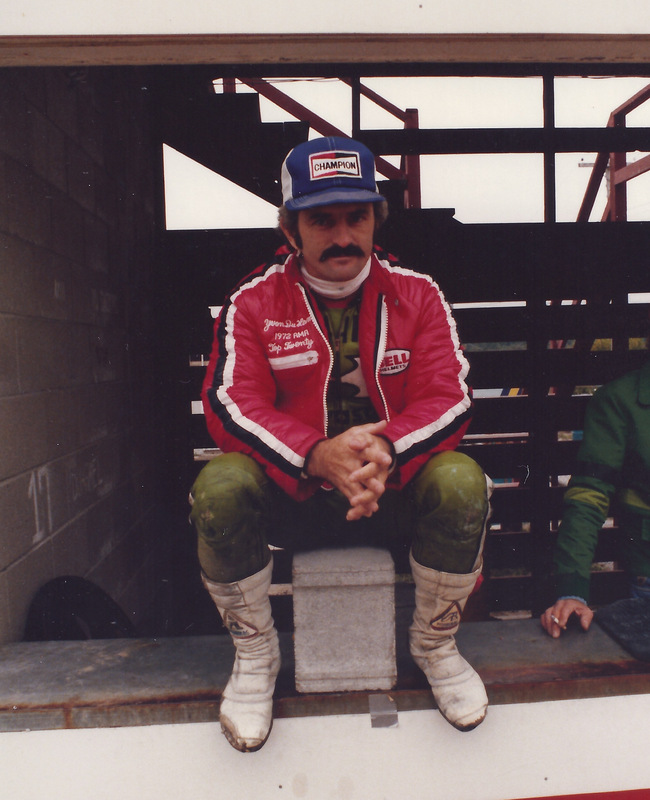 Davis provided BSAs for dirt track and road racing, and CZ and Jawa machines for motocross and ice racing. Yvon finished 13th in his first road race at Harewood Acres in 1961, but won later that year. These early successes set the pattern for what was to become an unparalleled racing career! 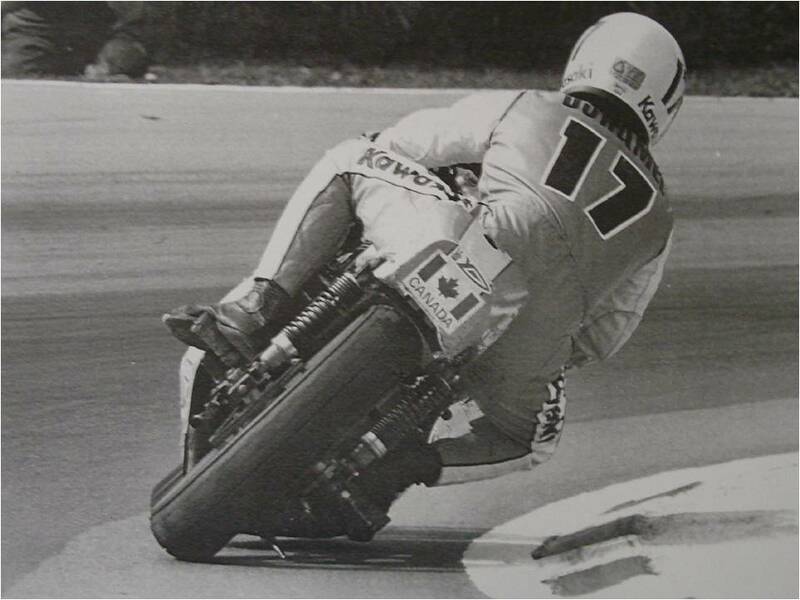 Yvon won the CMA’s prestigious White Memorial Trophy, for “Best performance by a Canadian rider in all disciplines”, no less than six times. His first wins came in 1961 and ‘62, and then for four consecutive years from 1965 to ’68. This has never been repeated. In dirt track he carried the No. 1 Plate in 1963-65-66-67 and 1968. He was CMA expert champion in 1962, ’65, ’66, ’67, and ’69. He was also CMA lightweight champion in 1962. His road racing machines also carried the No. 1 plate in 1967, and he had the coveted No. 1 plate in motocross in 1965 and 1966. 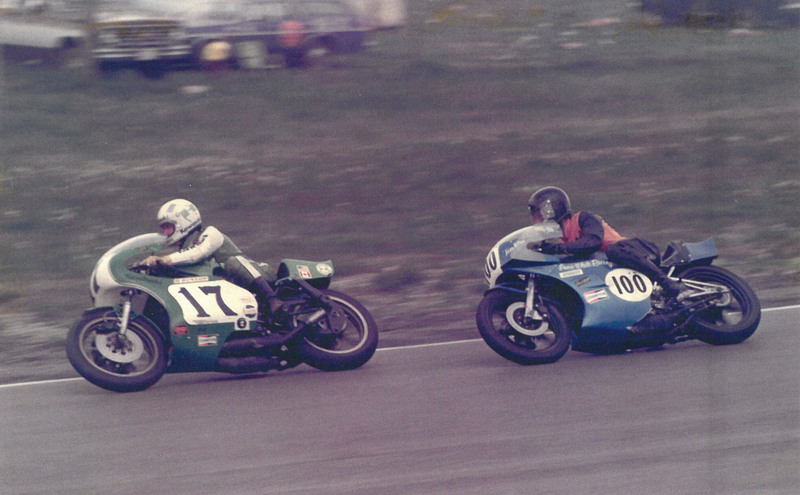 This was preceded by a 250 cc CMA expert championship in 1964. In ice racing Yvon won the CMA 500 senior championship in 1961 and 1962 and the CMA 500 expert championship in 1968. The CMA records also show a second place in the 1968 national trials championship. 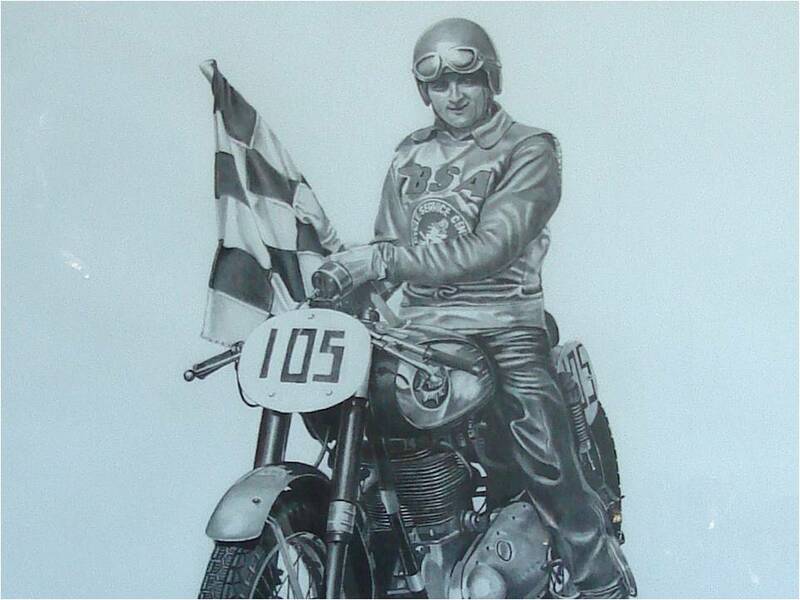 In 70 motocross starts he would record 53 firsts, 13 seconds, three thirds, and one crash! 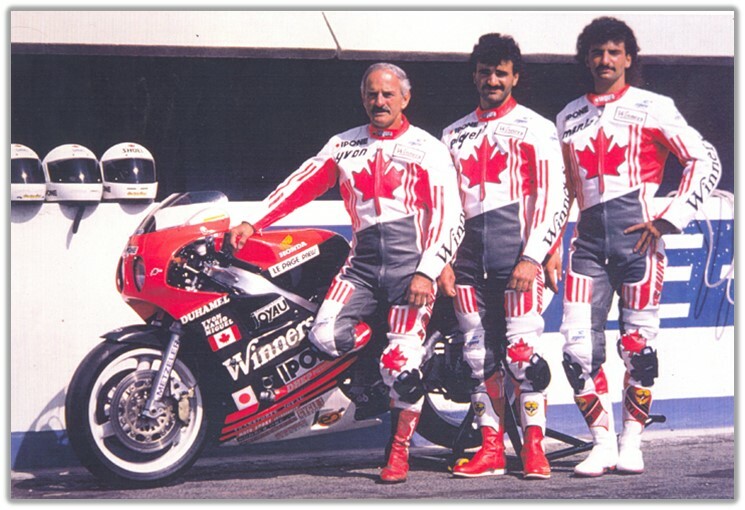 George Davis would again figure in Yvon’s career by connecting him with Trev Deeley, 2006 Motorcycle Hall of Fame inductee and Canadian distributor for Yamaha motorcycles. 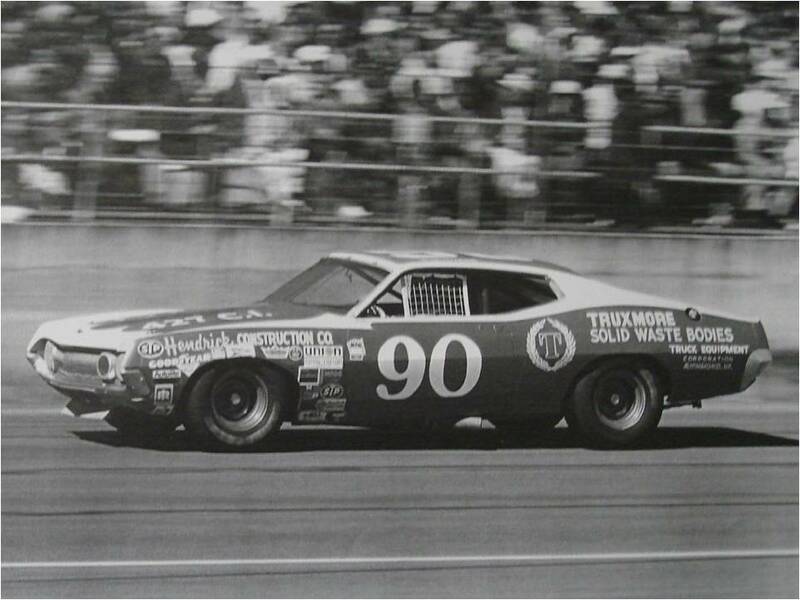 Yvon gave his new sponsor Trevor back to back wins in the Daytona 250 lightweight classes in 1968 and 1969. On the 350 Yamaha, he would also place second to 750 cc mounted Harley-Davidson factory rider, Cal Rayborn, in the 200 miler. Being fastest qualifier, Yvon started from the pole position in that event. 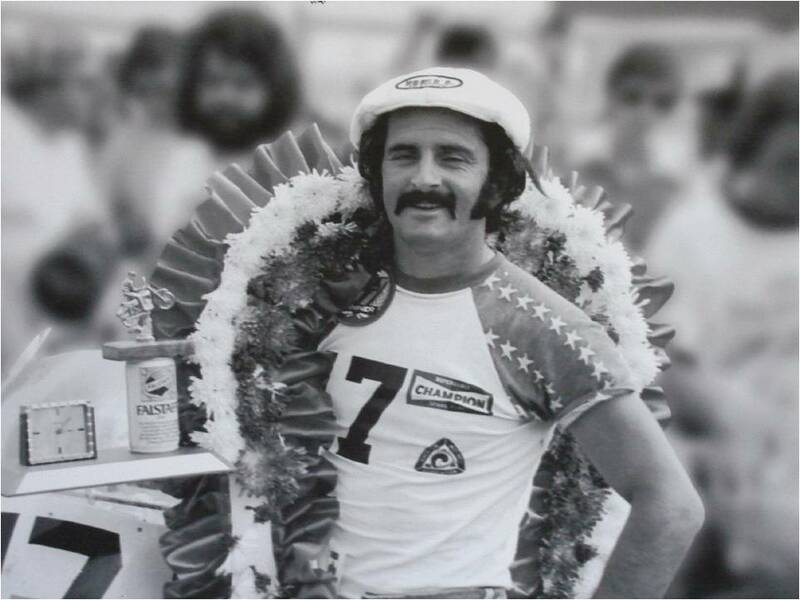 He was the first rider to lap the Daytona tri-oval at 150 mph. He and Art Bauman were the first two-stroke riders to finish on the podium in the Daytona 200. 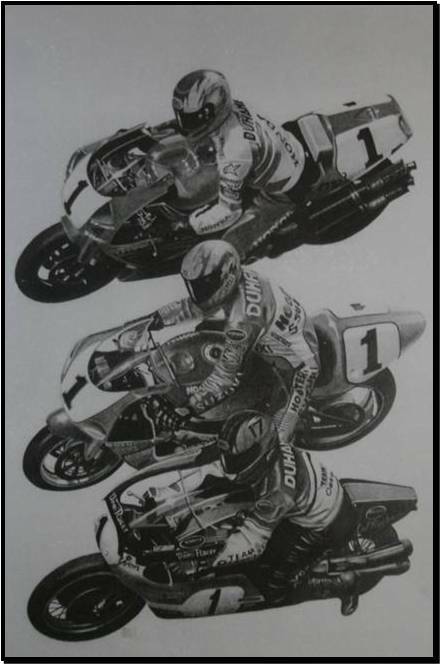 Many victories both in the USA and Canada would follow with the Deeley Yamaha team. Other manufacturers had become interested in Yvon’s talents, and Kawasaki approached him with a lucrative offer of a factory ride. However, his close friendship with Trevor Deeley troubled Yvon and before he made a decision they discussed the opportunity. Trevor recognized the limited 350 cc engine capacity of Yamaha at that time and knowing Yvon’s potential, unselfishly gave Yvon his blessing. Kawasaki produced ultra fast three-cylinder 500 and 750 cc two-stroke racers, and they needed an expert rider to handle the explosive power band. Yvon proved to be one of the few riders in the world then who could master these machines. 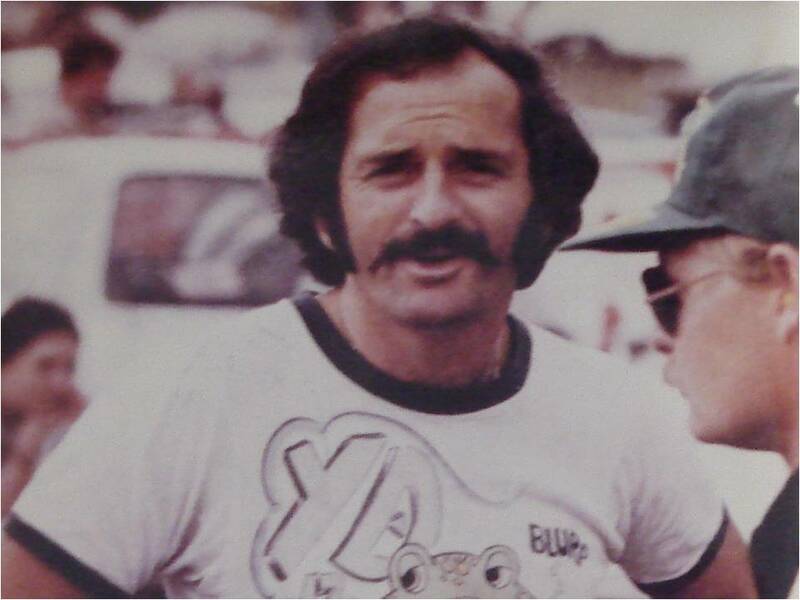 He rewarded Kawasaki by giving them their first AMA victory at Talladega, Alabama in 1971. 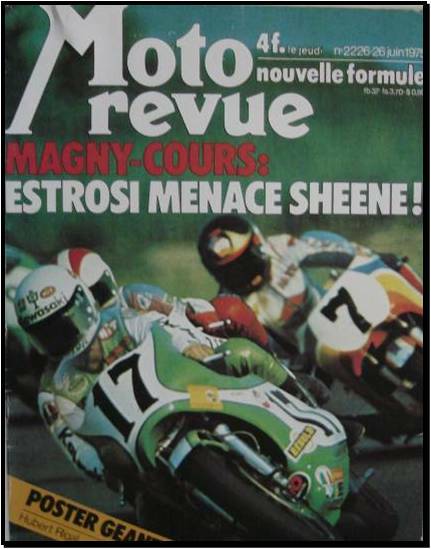 From 1971 to 1973 Duhamel was the top rider for Kawasaki earning no less than five national victories for team green. Two wins at Talladega, and one each at Road Atlanta, Charlotte, N.C., and Ontario, California. A series of mechanical failures and the odd crash here and there precluded further successes. 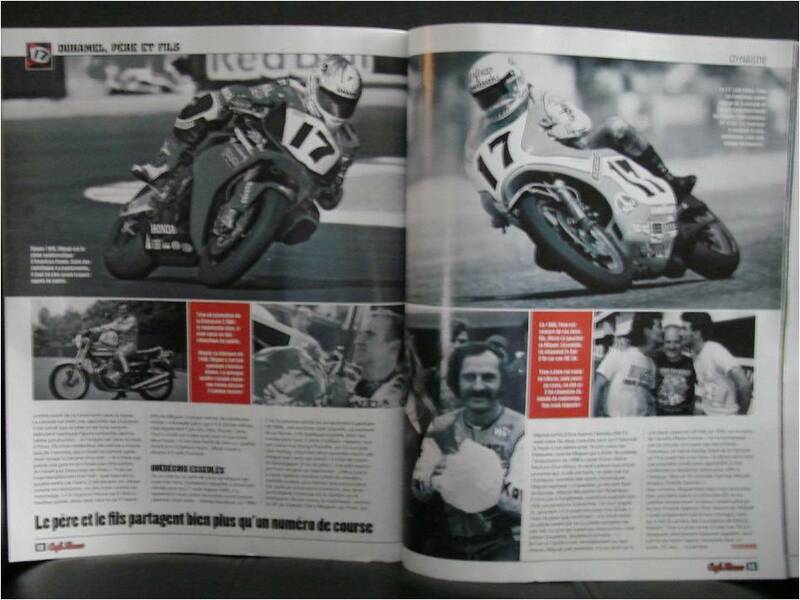 Yvon’s racing creed seemed to read, “Win, break or crash…no half measures”! Unknown to most onlookers, many crashes were the result of machine failure! During the late ‘60s Yvon occasionally also raced in AMA Grand National dirt track events. His best finish was a sixth place at the Sacramento mile. Only the lack of competitive machinery prevented further success in this arena. From 1974 to 1976 Yvon won many production races for Kawasaki on their Z-1 machine. 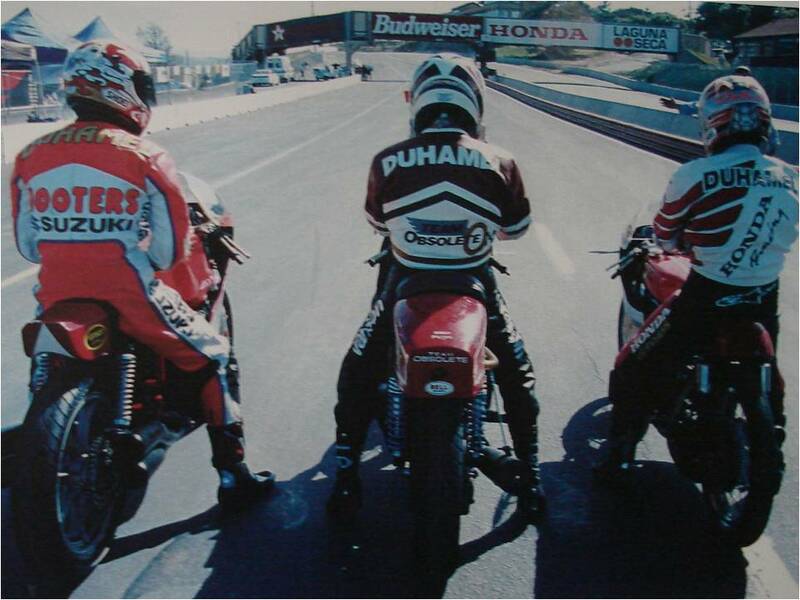 These races would eventually evolve into AMA Superbike. By the mid-1970s, Duhamel was racing overseas. 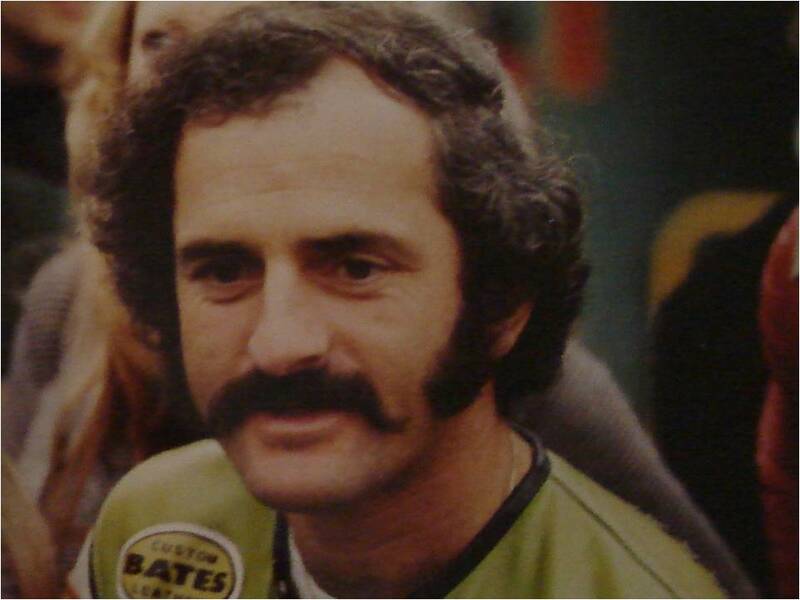 In 1975 he presented Kawasaki with its best finish of the year, placing fifth in the 250 cc Dutch TT. 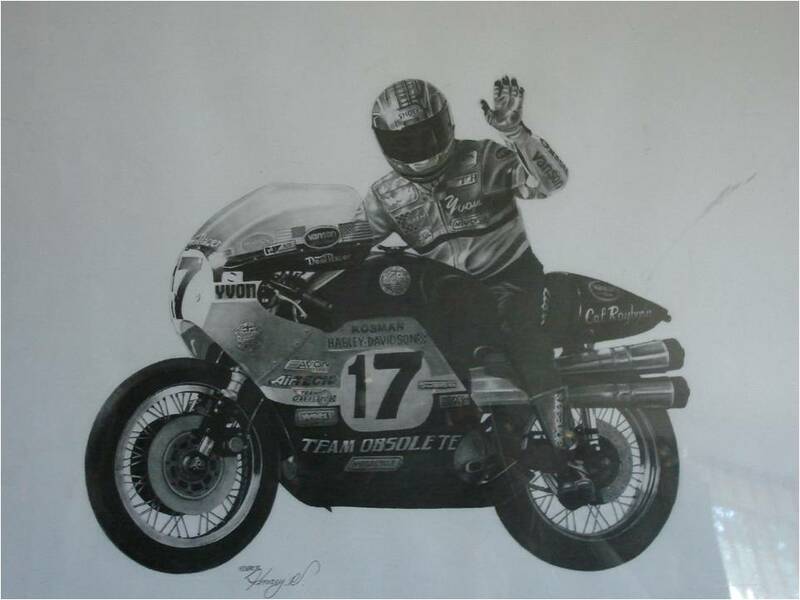 He was also a factory world endurance racer competing in both the Le Mans and Bol d’or 24 hour endurance races on a highly modified KZ1000 street bike. Touching briefly on other areas of success, the USA vs. UK Match Race series of the mid-‘70s was another arena in which Yvon excelled. He was high point winner in 1973 and was appointed USA team captain in 1974. 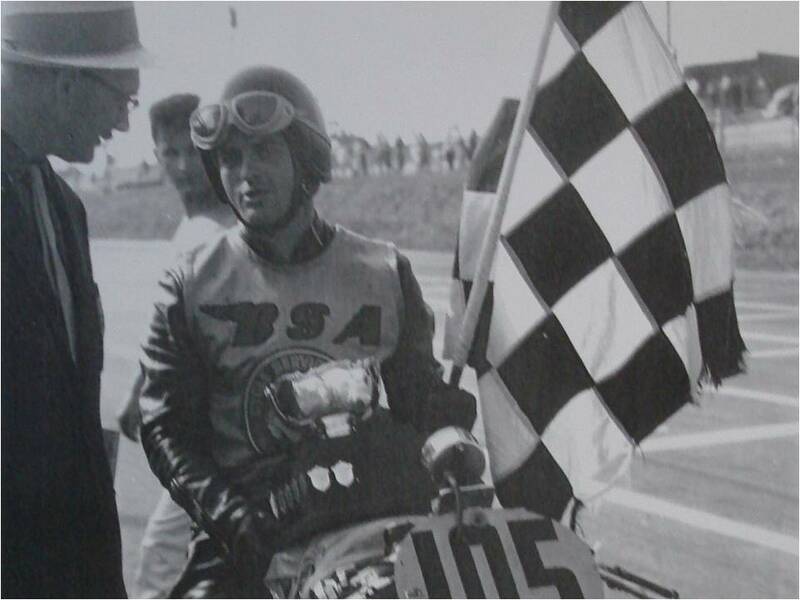 He won a Formula 750 race at Assen in Holland, and on another occasion finished second to the legendary Giacomo Agostini, losing only by the amount of time it took to refuel the thirsty Kawasaki. 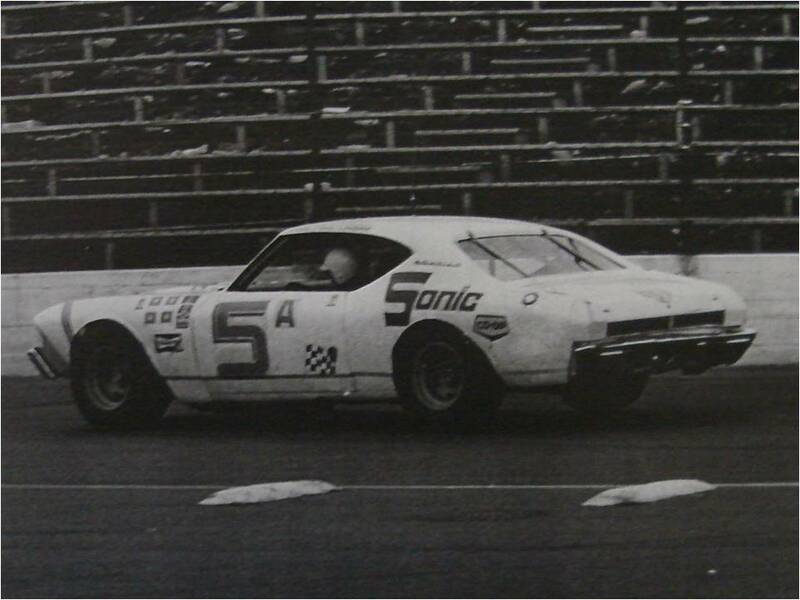 NASCAR stock car racing also enters the picture with Yvon’s 10th place finish in a 400 miler at North Wilkesboro, N.C. in a Junie Dunlavey car. Other NASCAR drivers in that race? Richard Petty, Donny and Bobby Allison, Cale Yarborough and Buddy Baker! Yvon scored another top 10 stock car placing in a 400 miler at Sanair in Quebec. In sports car racing, teamed with Jacques Duval and George Nicholas, Yvon won a six hour endurance race driving a Porsche 911. 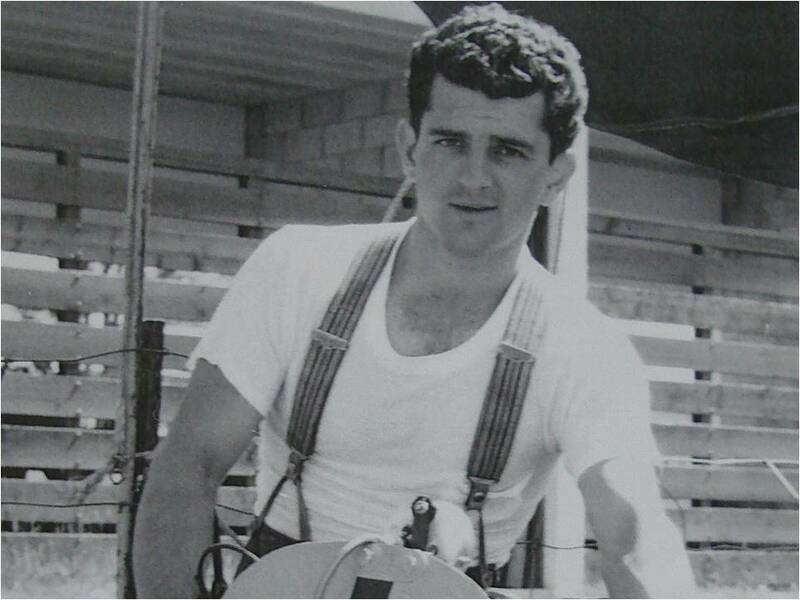 Racing at Mosport in a Datsun 240Z, a ride orchestrated by non other than Mike Duff, Yvon prevailed over Corvettes and a host of other more powerful equipment. This after just three laps of practice. Starting at the back of the pack, in the wet, in a field of over 30 cars, Yvon was in second place on the first lap and won the race! The Datsun by the way was the tow car for a Corvette owner! Now to snowmobiles! 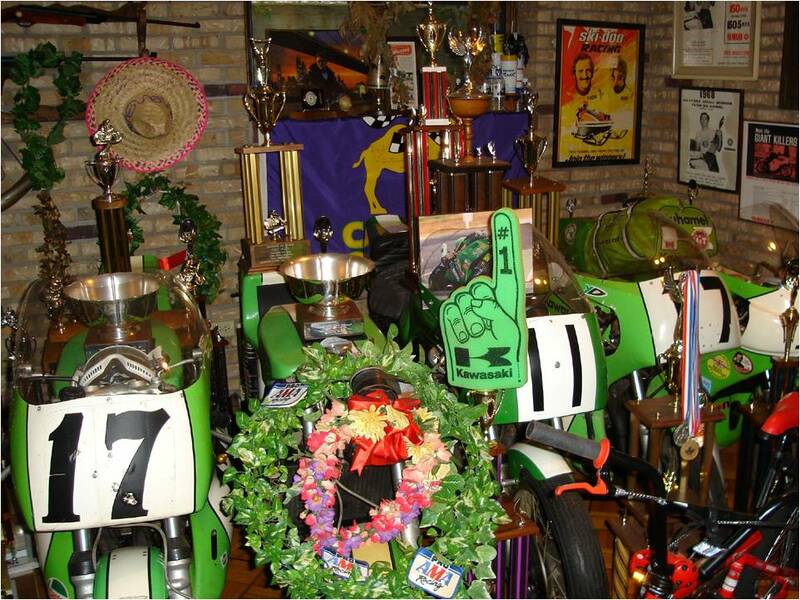 As a factory Ski-Doo racer in only his first season, Yvon won the world championship at Eagle River, Wisconsin in 1970. He set a land speed record of 127.4 mph. 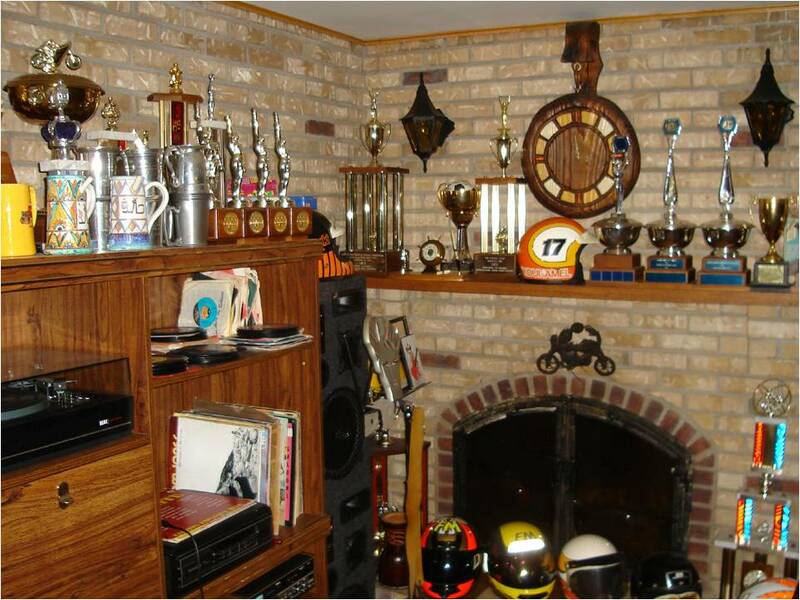 And, he won the Winnipeg to St. Paul, Minnesota, three-day snowmobile race in 1972. Part of that story is that he completed day one on only one ski! The other had broken early in the race. As part of the foregoing there are endless fascinating stories, such as the time he won a 250 cc race at Mosport with only one clip-on handlebar. The bar on the left side had broken off! Passing the pit area and officials, he would fake the other bar being connected. Hopefully we will see an Yvon Duhamel book one day soon, so that we can all read about and enjoy his complete story. 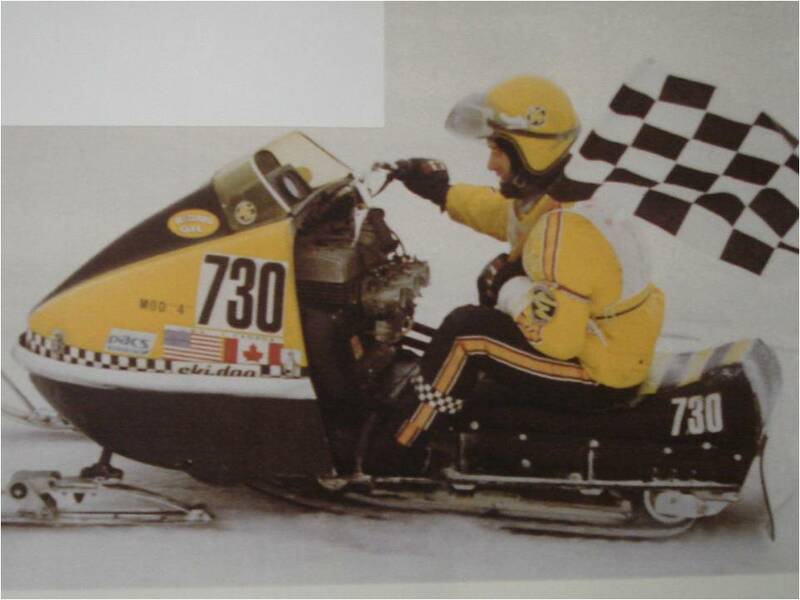 Yvon has been inducted the Snowmobile Hall of Fame, and the Panthéon des Sports du Québec in Montreal. 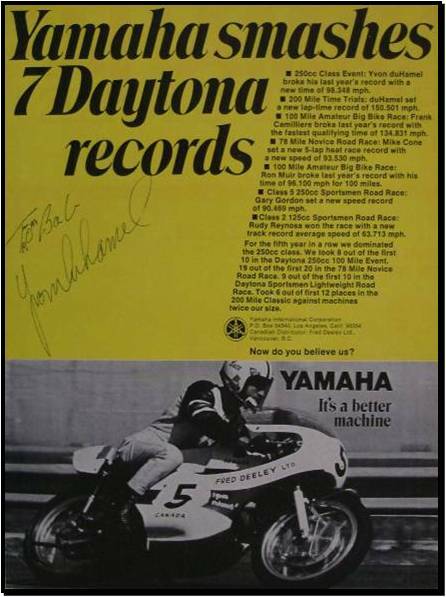 Yvon Duhamel was inducted into the AMA Motorcycle Hall of Fame in 1999. CLICK HERE to visit that website. He was also inducted into the Canadian MotorSPORT Hall of Fame in 1999. CLICK HERE to visit that website.